What are your Advance Directives? You have the right to make decisions about your medical treatment. These decisions become more difficult if, due to illness or a change in mental condition, you are unable to tell your doctor and loved ones what kind of healthcare treatments you want. That is why it is important for you to make your wishes known in advance. Durable Power of Attorney for Healthcare(Also known as Medical Power of Attorney. In this document, you name a person as your healthcare Representative to make healthcare decisions on your behalf when you are unable to make them. Your proxy can interpret your wishes to your physician when you are not able. In order for advance directives to be honored, they must be included in your chart. If you (an adult) have not made decisions regarding your treatment in the event your diagnosed with a terminal and irreversible condition and you are unable to make decisions for yourself, your are permitted by law to make this declaration by designating a person to make medical decisions on your behalf. In such a situation the name person my execute a durable power of attorney for healthcare decisions (the person does not need to be a lawyer). They also may be called your healthcare surrogate. In this document, you provide written instructions about the type of healthcare you would want or not want performed for you under various circumstances. When you are admitted into a hospital, you will be asked for you Advance Directive. A copy will be made part of your medical record. If you do not have an Advance Directive, you are urged to discuss this with your physician or family/support person so your wishes for treatment are understood. You, as a patient, have the right to request the withholding of resuscitative services and the withholding or withdrawing of life-sustaining procedures. Much information for these directives is online and is often different by state. 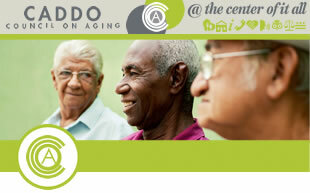 - Dedicated to legal and financial issues affecting seniors. - Provides Service for Personal Injury, Criminal Law, Successions, Bankruptcy, and Class Action. 4911 S. Sherwood Forest Blvd. - Provides Services For Estate Planning and Registered Investment Adviser. - The ProBono Project refers indigent and low-income residents of Caddo & Bossier Parish to private attorneys who volunteer their time through the Project. - The Pro Bono Project handles only civil, non-fee generating cases. - Intake is by telephone ONLY, Mon-Thur 9:30 am to 1:30 pm. - Provide free legal services to people with civil matters, below poverty guidelines. - Serves the following parishes: Bienville, Bossier, Caddo, Caldwell, Catahoula, Claiborne, Concordia, Desoto, East Carroll, Franklin, Grant, Jackson, LaSalle, Lincoln, Madison, Morehouse, Natchitoches, Ouachita, Red River, Richland, Sabine, Tensas, Union, Webster, West Carroll and Winn. - Louisiana Civil Justice Center is a free service through that provides legal information to Louisiana seniors. - Get help with family law problems, housing issues, disaster related issues and financial matters such as bankruptcy and social security. back to assist with the problem. - Louisiana Civil Justice Center cannot assist with criminal problems, but they can answer questions about identify theft. - Living Wills, Cost of $20.00, and $5.00 for Revocation. - We Have the Living wills here in our office. - Established in 1987. A referral system to find an elder law attorney in your area. - To use the website you can search for state, city, etc. to find an attorney to fit your needs. - Intake is Tue-Thur from 1-4 pm. Call for application. - Services provided for Bankruptcy, Civil Rights, Divorce, Estate Planning, Family Law, Juvenile Law, and Real Estate Law. - Our mission is to help you and your family plan for and receive the care you deserve. - A good guide to living wills is available from this website. - You will find a living will form that is very specific in choices you can make known to all, down to specifying you don't want a ventilator, feeding tube or even ice applied to your lips.